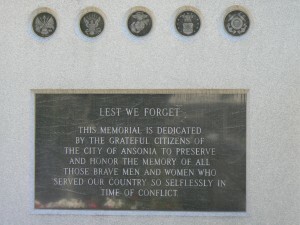 Ansonia honors veterans lost in the nation’s 20th Century Wars with a collection of monuments near City Hall. The northern section of the monument, dedicated in 1999, honors “friends, neighbors and relatives” lost in the two World Wars. 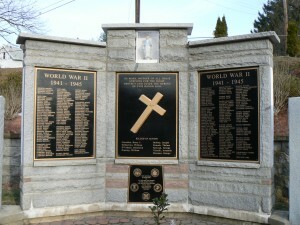 The monument lists the names of about 32 World War I heroes and about 70 who were killed in World War II. 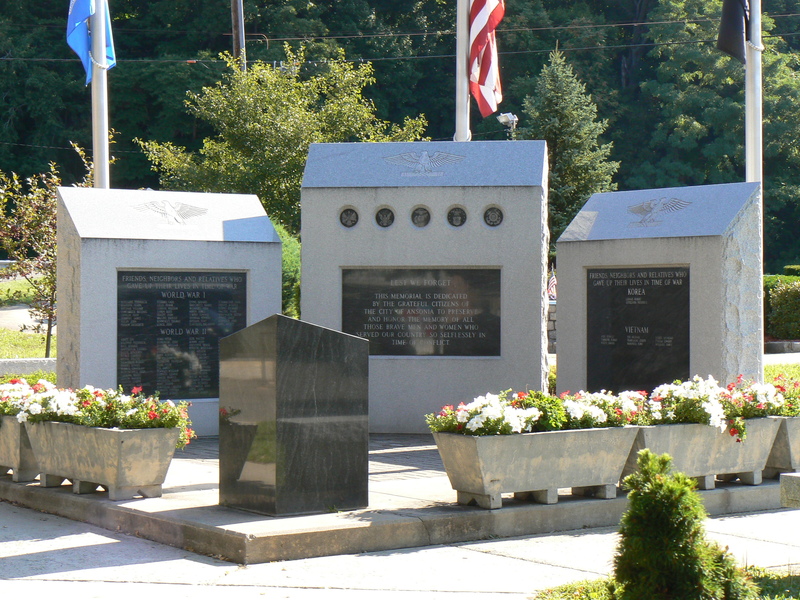 The southern panel honors two residents who died in the Korean War and nine who were killed in Vietnam. 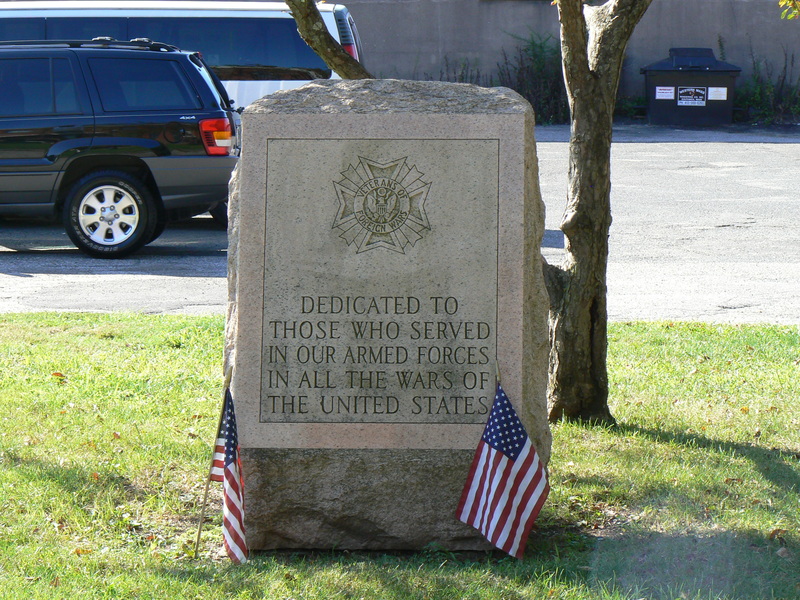 At the southern side of the park, a monument erected by the Veterans of Foreign Wars honors all U.S. war veterans. 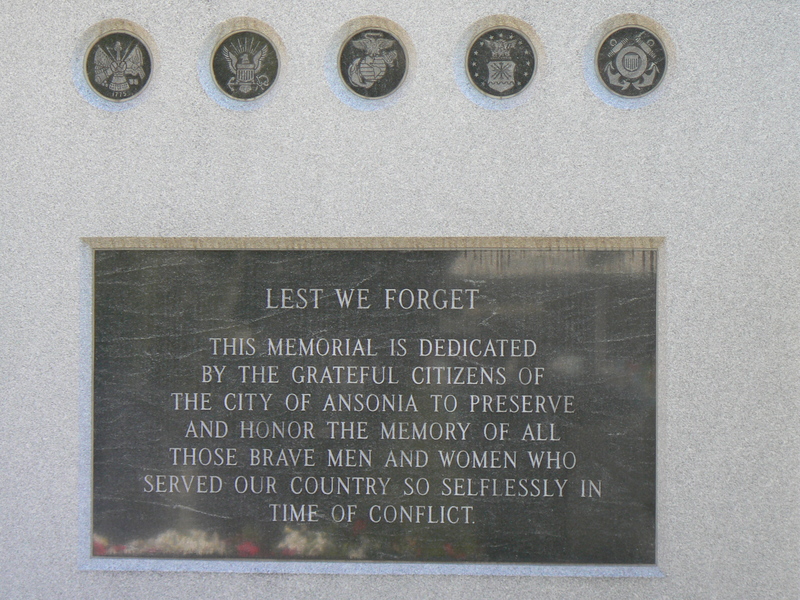 In front of City Hall, a monument dedicated on Veterans’ Day in 1959 offers similar gratitude for the service of Ansonia’s war veterans, and praises those who made the supreme sacrifice. Another monument to the south of the veterans’ memorial honors the service of Ansonia’s volunteer firefighters. 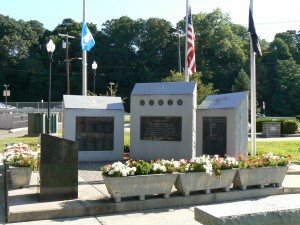 The firefighter monument was dedicated in 1990. 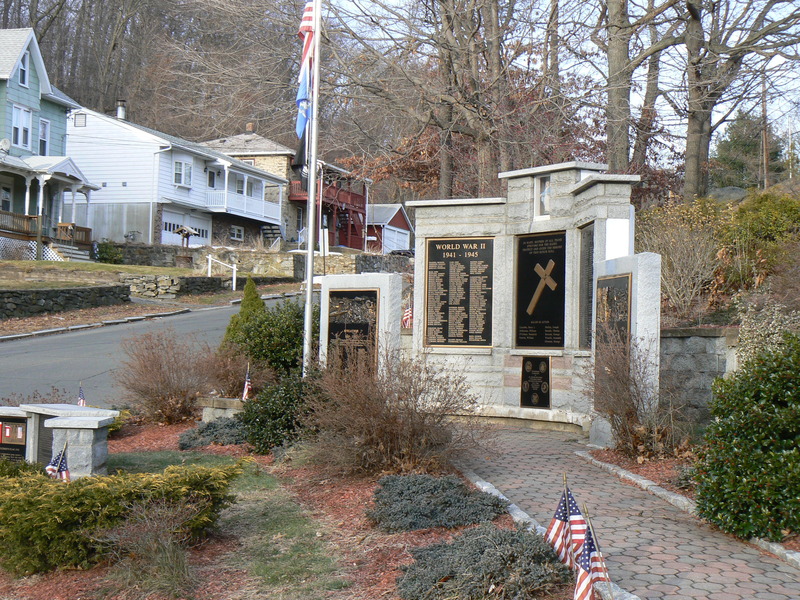 Ansonia’s World War II, Korea and Vietnam veterans from the Woodbridge Avenue neighborhood are further honored with an honor roll monument that traces its roots back to 1942. 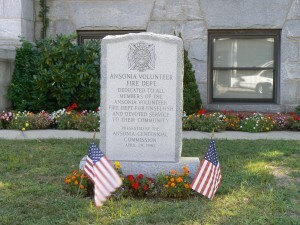 Ansonia’s Civil War veterans are honored with an 1876 monument in the city’s Pine Grove Cemetery. 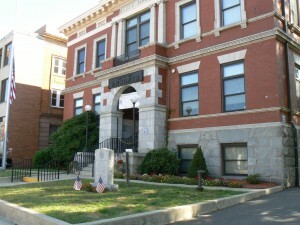 The author of the children’s classic “Black Beauty” is honored with a memorial fountain outside the Ansonia Public Library. The library and the fountain, at the corner of Cottage Avenue and South Cliff Street, were both donated by Caroline Phelps Stokes to honor her parents as well as her grandfather, Ansonia founder Anson Phelps. 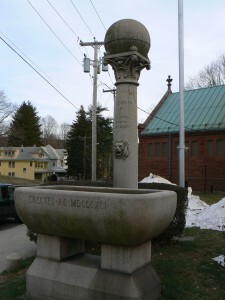 The fountain, dedicated in 1892, features a large trough for horses as well as a smaller fountain below a conch-shell spigot for people. 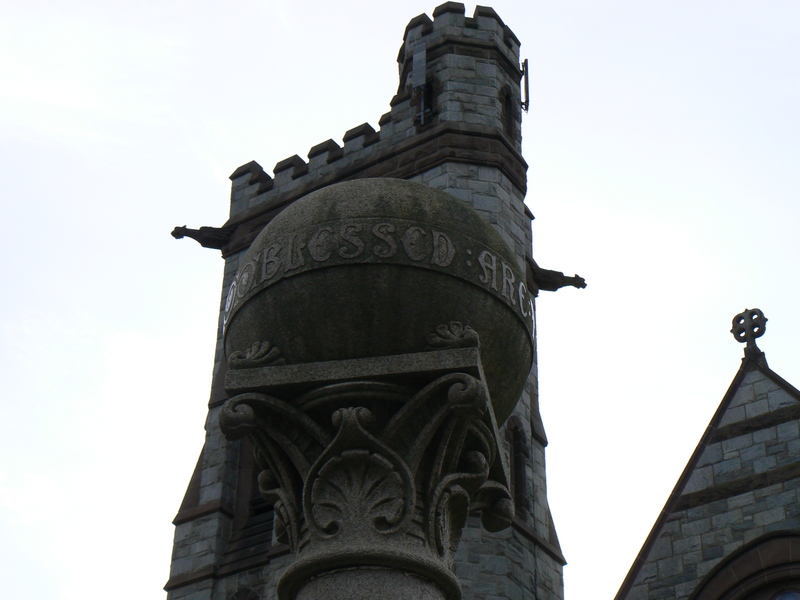 A column behind the trough has a dedication reading, “In memoriam, Anna Sewell, author of ‘Black Beauty.’” The trough is dated 1891 in Roman numerals, although the fountain and library were dedicated on June 9, 1892. 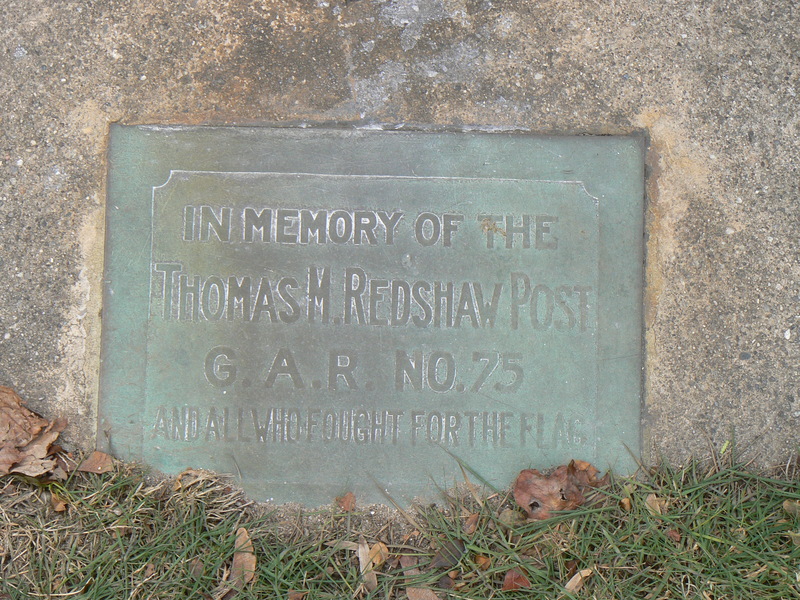 The flagpole behind the fountain honors the local Grand Army of the Republic post. The G.A.R. 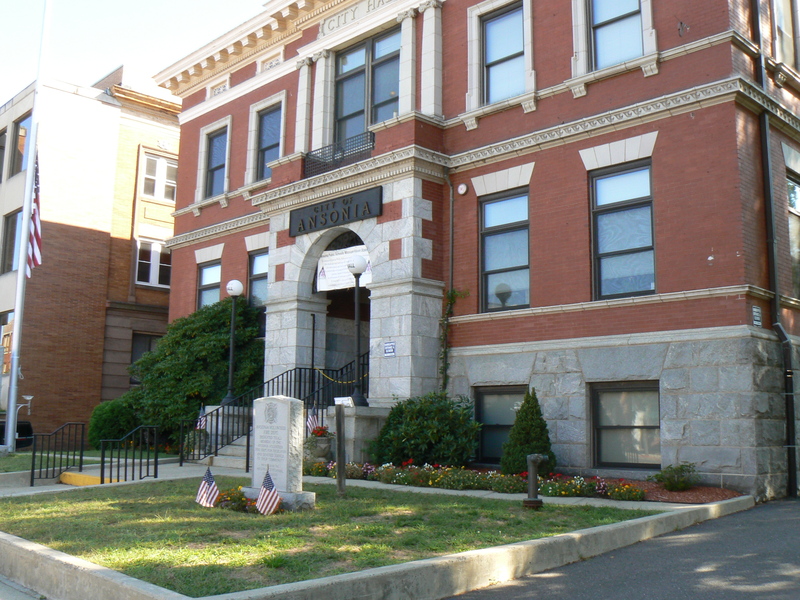 was the leading fraternal organization for Union Army veterans following the Civil War, and local posts were responsible for the funding of several Civil War monuments and memorial halls within Connecticut. Stokes, a dedicated philanthropist who funded the construction of several college chapels and made donations to a variety of causes benefitting women, African-Americans, education and animals, funded the fountain to honor Anna Sewell, who had died shortly after the book’s publication in 1878. 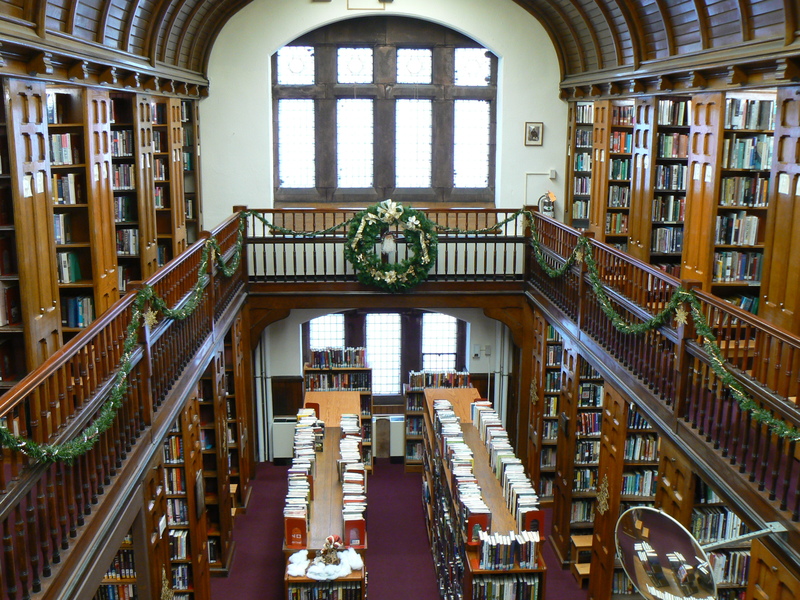 Contemporary published accounts place the value of Stokes’ library donation at between $35,000 and $40,000, which would be nearly $1 million in today’s dollars. Although the library was dedicated in 1892, it did not open until 1896. 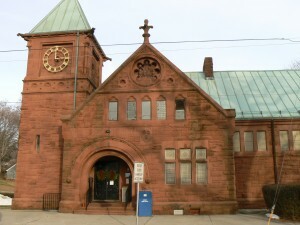 The building sat vacant for four years following a funding dispute with the municipal government about the library’s operating expenses (which local officials agreed to assume in 1896). 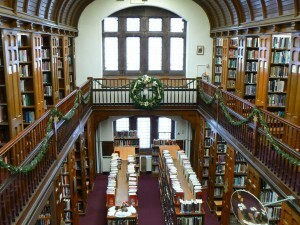 The library building was expanded in 1960. UPDATE (Jan. 13, 2010) – The Valley Independent Sentinel is reporting that the Friends of the Ansonia Historical Commission is raising funds to restore the fountain and repair vandalism damage from the 1960s, when miscreants broke the column by attaching a chain to the car. 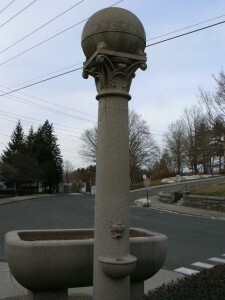 The group plans to first repair the visible cracks, and a later project will repair the trough’s water pump. 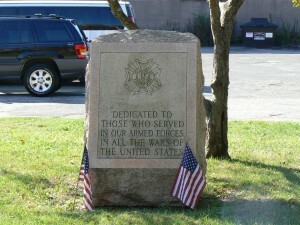 An Ansonia neighborhood honors residents who have served in recent wars with a granite monument on a small hillside. 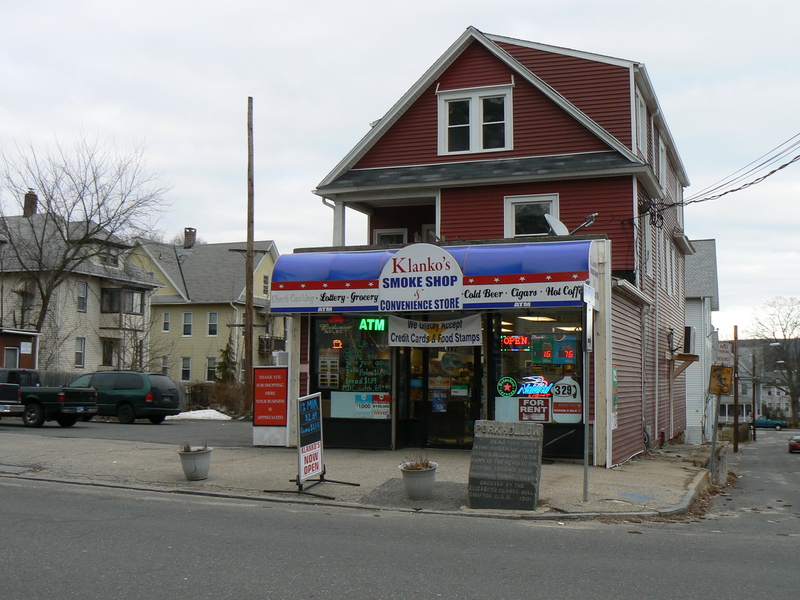 The Woodbridge Avenue Honor Roll, near the intersection with Visselli Court (named after the first resident lost in World War II), is the latest version of a monument that started informally during the Second World War and has been revised several times since. Today, the monument features a central monument, with three bronze plaques, dedicated to World War II veterans. 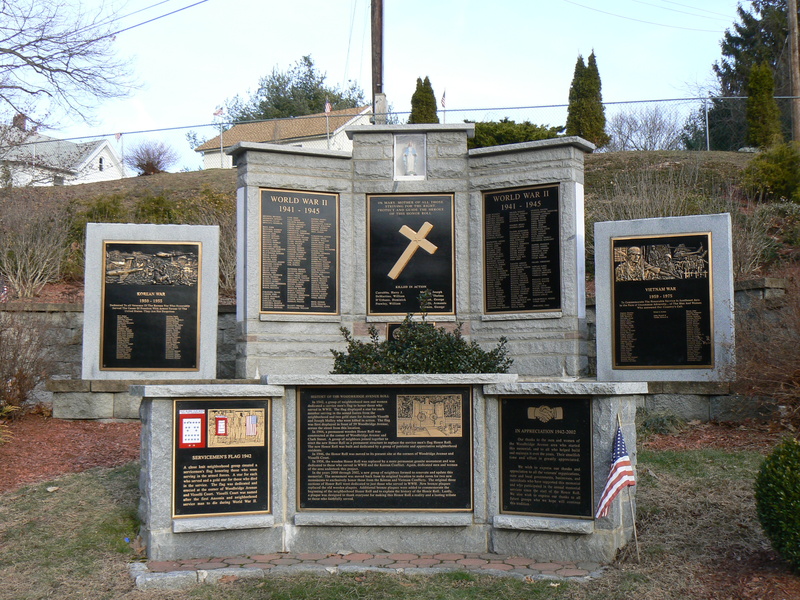 The central plaque lists the names of nine neighborhood residents who were killed in the war, and features a large cross and a prayer to the Blessed Mother (who is represented with a small figurine inset into the monument). 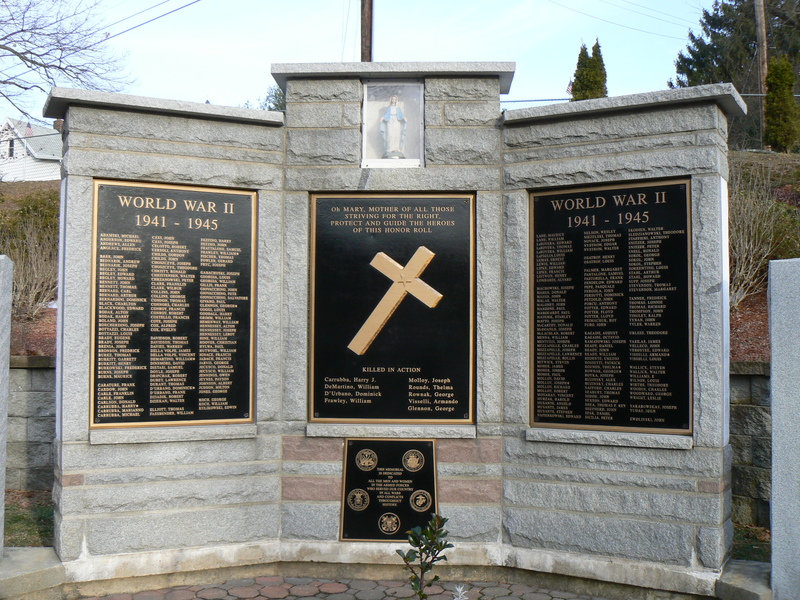 A dedication plaque on the lower section honors veterans of all of the nation’s wars, and features the crests of the military services. 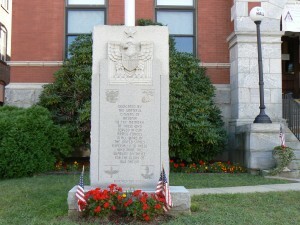 The central plaque is flanked by two markers that collectively list nearly 250 names of local WWII veterans. The monument also features plaques honor the service of veterans in the Korean and Vietnam wars. The Korean War plaque lists 50 names. The Vietnam plaque lists 56 residents who served in the conflict and highlights two who were killed. 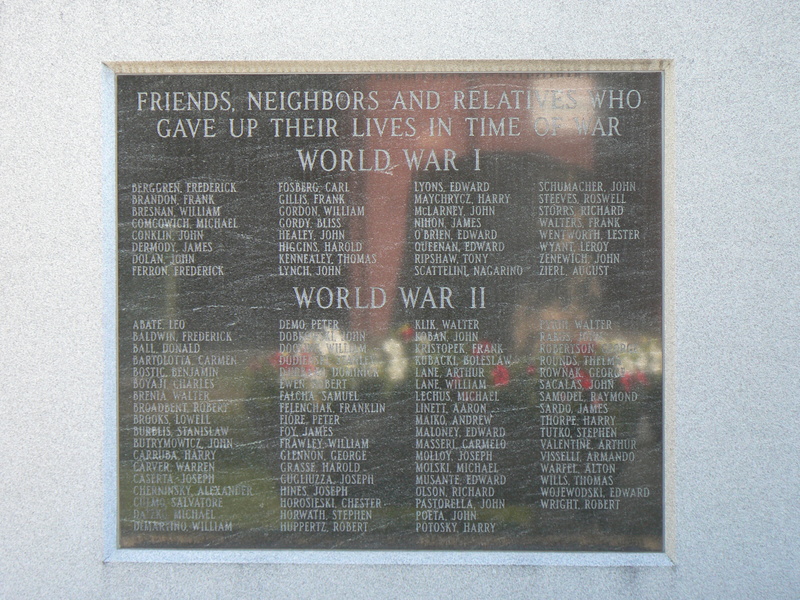 It is striking to see the similarities of the names on the plaques. 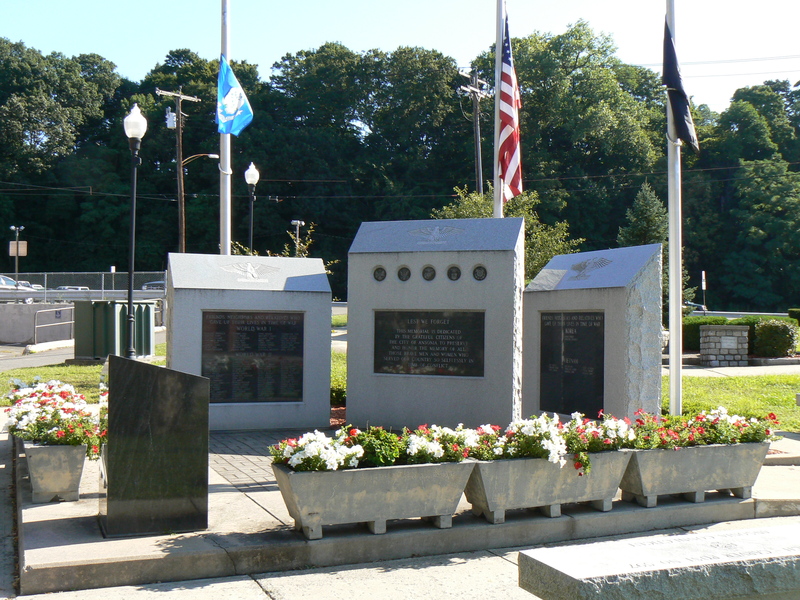 It is common to see four or five members of a family who served in the same conflict, and it is also common to see the same last name represented on the different plaques – undoubtedly relatives of veterans of the previous war. 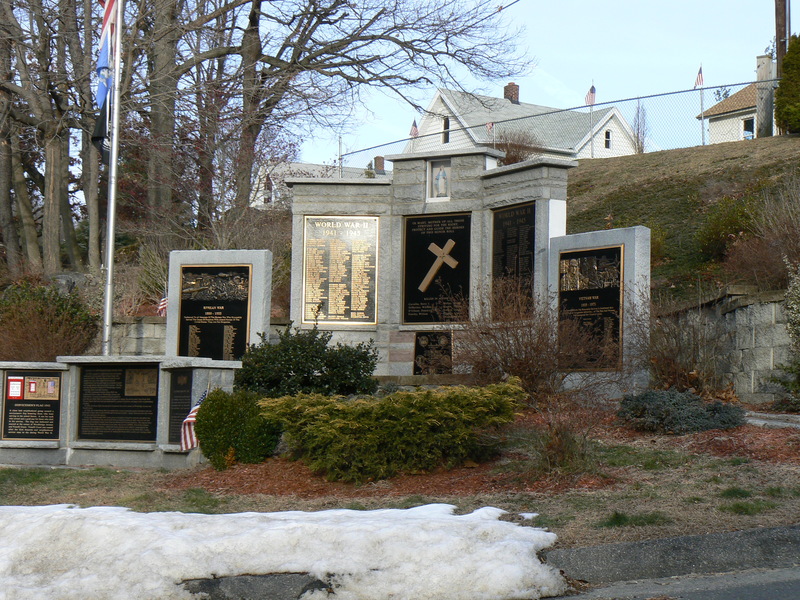 Three smaller monuments lower on the hillside describe the history of the monument, which started in 1942 with a flag honoring local veterans and war heroes. 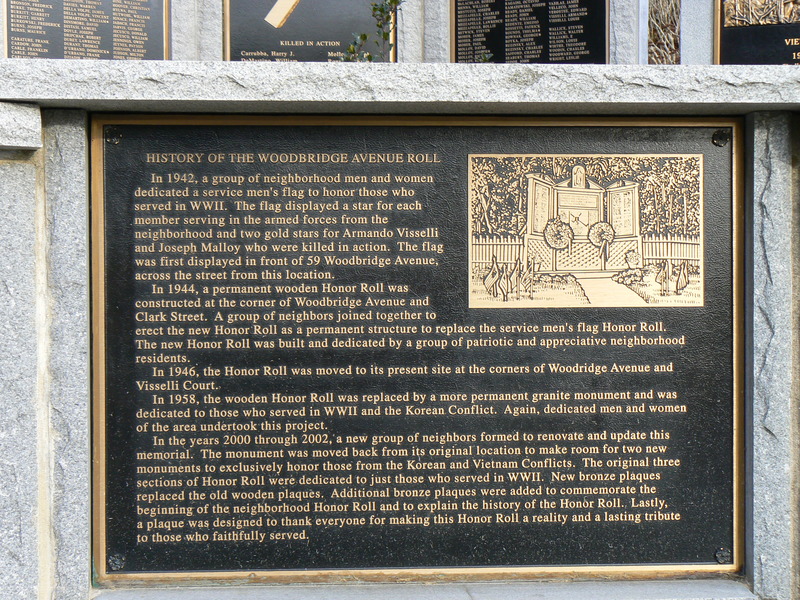 A wooden honor roll was built two years later, and was replaced with a granite monument in 1958. 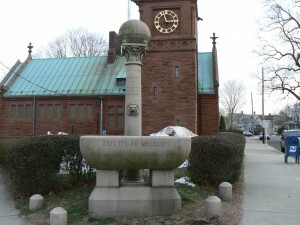 In 2002, the monument was updated and renovated, and moved to its current location. The wooden plaques were replaced with today’s bronze markers. An 1876 monument in Ansonia’s Pine Grove Cemetery honors the service of local heroes killed in the Civil War. The base of the south side also lists the battle of Antietam. 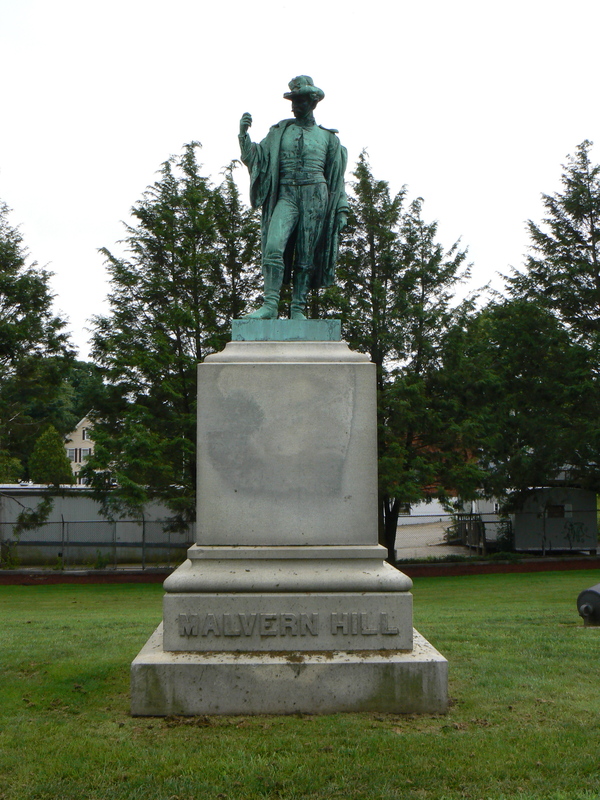 The north side lists the battle of Malvern Hill (Va.). 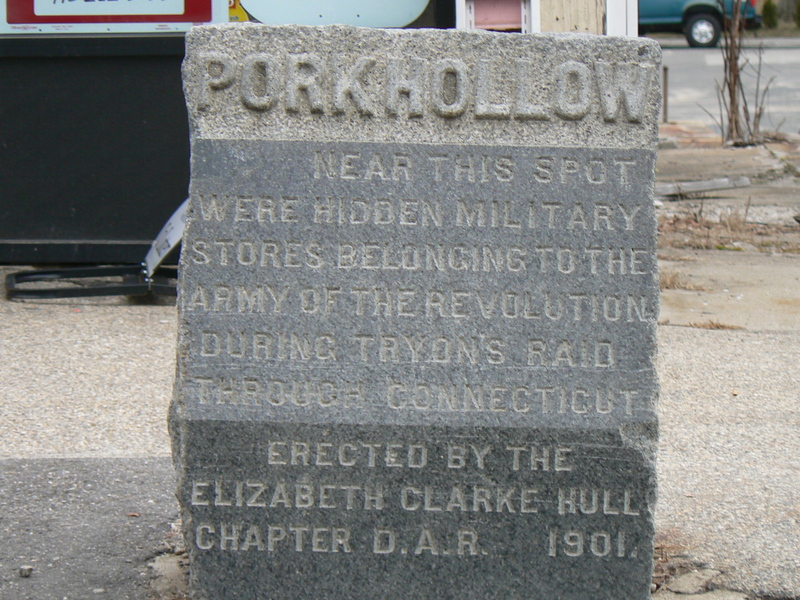 The east side lists the battle of Mobile (Ala.), while Gettysburg is listed on the west side of the monument’s base. 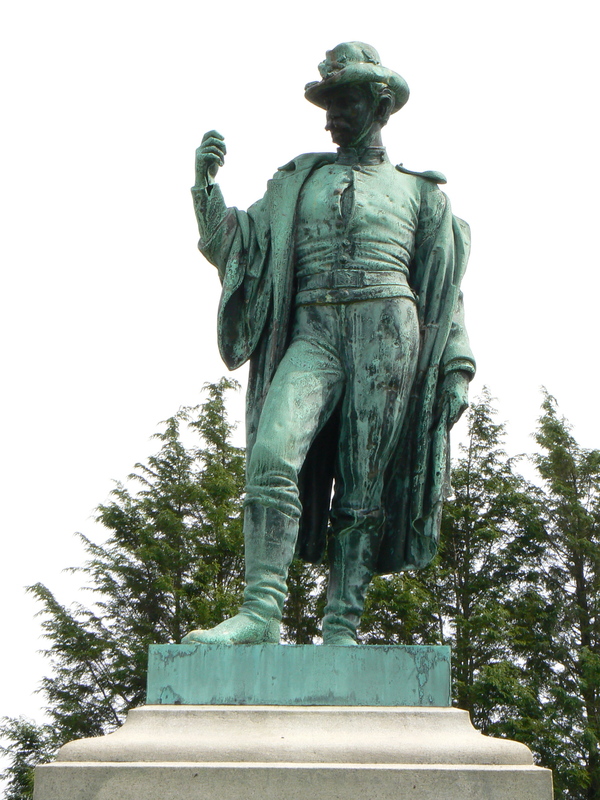 The monument’s dedication appears on its rear face because the statue has been reversed. When it was originally dedicated, the monument faced south, toward the main cemetery entrance. 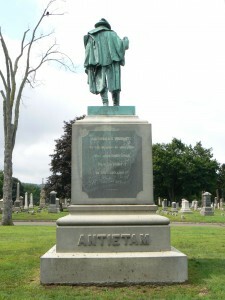 The entrance was later moved to the north (Church Street) side of the cemetery, so the statue was turned around. 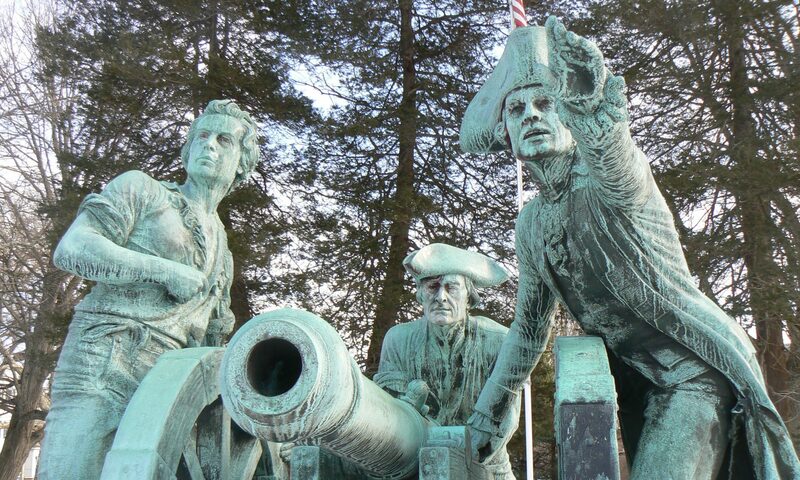 The statue’s right hand also held an artillery ramrod that has been lost over the years. We’re not sure if the staining on the north face of the monument’s base has been caused by water or paint removal. The monument is surrounded by four 30 pounder Parrott rifle cannons that were manufactured in 1861. 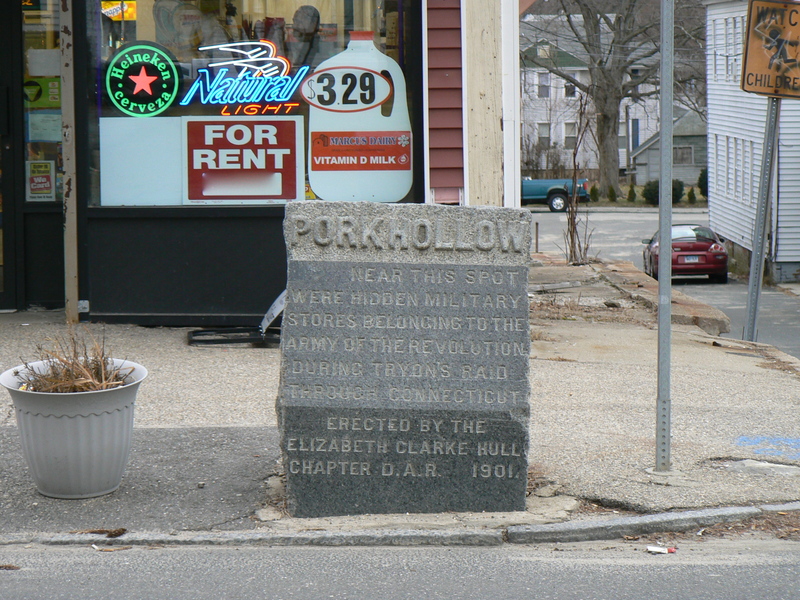 The southwest cannon was mounted upside-down in its bracket, judging from the date and foundry markings on its side. 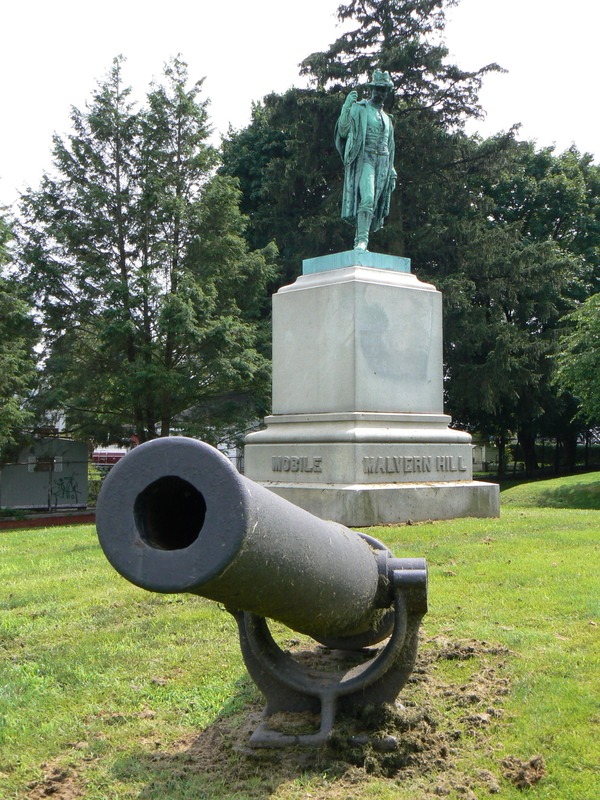 We’re not sure if being mounted upside-down would affect Civil War artillery, but since the Ansonia cannon weighs 2.1 tons, we doubt anyone’s going to remount it right-side-up. 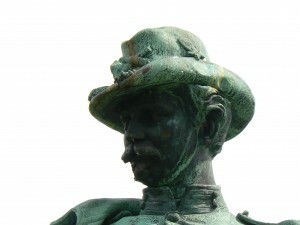 The Ansonia monument was designed by sculptor M.J. Walsh, who also created the Soldiers’ Monument on the nearby Derby Green.